"Every group is isomorphic to a group of permutations"
I coined the word 'eucatastrophe': the sudden happy turn in a story which pierces you with a joy that brings tears (which I argued it is the highest function of fairy-stories to produce). And I was there led to the view that it produces its peculiar effect because it is a sudden glimpse of Truth, your whole nature chained in material cause and effect, the chain of death, feels a sudden relief as if a major limb out of joint had suddenly snapped back. It perceives – if the story has literary 'truth' on the second plane (....) – that this is indeed how things really do work in the Great World for which our nature is made. And I concluded by saying that the Resurrection was the greatest 'eucatastrophe' possible in the greatest Fairy Story – and produces that essential emotion: Christian joy which produces tears because it is qualitatively so like sorrow, because it comes from those places where Joy and Sorrow are at one, reconciled, as selfishness and altruism are lost in Love. We created God. And God created us. I admire the human spirit, for its capacity of creating and its desire to ascend. For its urge to know and its dexterity of producing beautiful things. and its ability to love. The man is God, and the man thought of a God which is beauty, perfection, love, knowledge and peace. And now, God exists. And by following God's example we can be better people, better lovers, better parents. So I bless the man, and I bless God. Let us build a world with more love, happiness and respect for each other. I know it must be great. she said, I just belong to myself, she said. then on her glass of beer. She turned back to me. Today, there is a group for every individual. and power laws. I was thinking of solitude and hope. and the comforting feeling of acknowledgment ... or maybe acceptance. Not so uncommon in people after all. just dropped that thing there. she looked at me with curiosity. She darted at me. I liked that. that within me, that night. Not sure she found it. Noone's fault. Sometimes it just goes that way, no matter how hard you try. She entered the movie theater. very nice. More to be said. the calm knowledge of time. fargo is rated 8.3 on imdb. The Euler product formula can be used to calculate the asymptotic probability that s randomly selected integers are set-wise coprime. 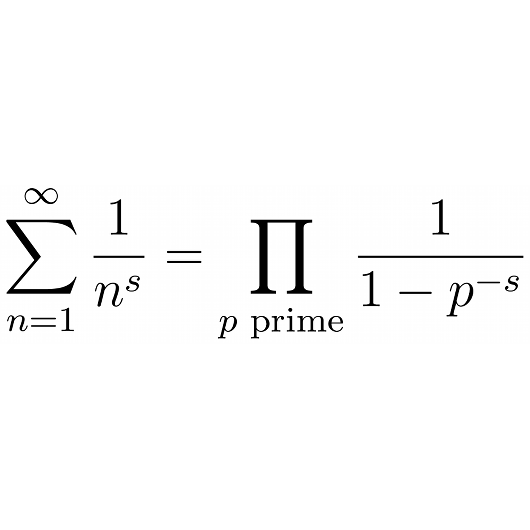 Intuitively, the probability that any single number is divisible by a prime (or any integer), p is 1/p.